Cupboard Dehumidifier - oustanding results. Best quiet Dehumidifiers. 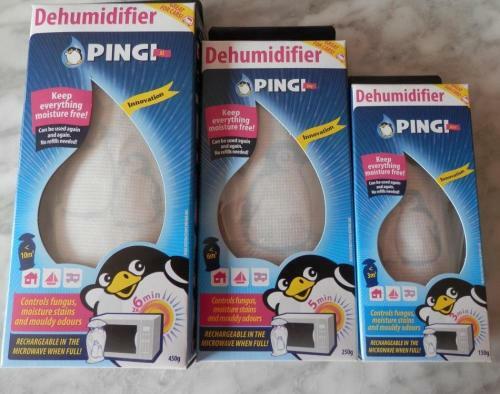 Cupboard Dehumidifier – Pingi Innovation. We all look for that long forgotten jacket, wedding dress or favourite pair of shoes. Our surprise is substantial when we discover mould growth on the clothing or shoes. We will try to clean it ourselves (with mixed results) or we may end up with a big dry-cleaning bill. Worse-case scenario, we throw the item out. Heard this yarn before? It could be in Australian Story as it happens often and costs millions of dollars. The cause is the lack of ventilation combining with moist air in an enclosed space. You need a product that will keep your possessions, moisture and mould free. You need a PINGI Cupboard Dehumidifier. So what goes wrong? Lack of ventilation and excess moisture combine with dirt or dust on clothing or leather goods and mould develops. 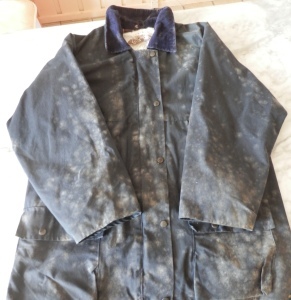 The mould can be quite unhealthy and wreck your clothing. The musty smell in the cupboard is also quite unpleasant. To remove the mould, we may use toxic bleach products which are not very good for our health either. This jacket had to be thrown out. We have discussed mould removal in some detail in a previous post. For those of you who have not read it, just click on the red text. Healthier and more effective mould prevention and mould removal does exist. For further mould removal information you can click on an article by ChemDry. The PINGI Cupboard Dehumidifier is the best and safest non electric Dehumidifier available today. They are truly a quiet dehumidifier! 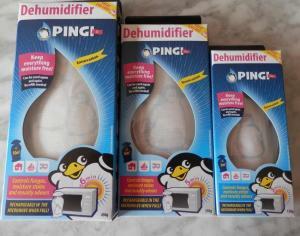 Our PINGI Cupboard Dehumidifier can be used hundreds of times. It requires no expensive refilling. The dehumidifier can be recharged in the sun or in a microwave oven when the blue moisture indicator (on the bag), turns pink. The Cupboard Dehumidifier will not leak. The absorbed moisture is held in suspension in the Silica Gel Pellets inside the bag. This enables you to place the PINGI anywhere in the wardrobe. Many competitive products can only be placed at the bottom of the cupboard. PINGI leaves no residual moisture solution in a bucket at the bottom of the cupboard which may be hazardous to small kids or pets. A PINGI for each job. Three Cupboard Dehumidifier sizes for large to small cupboards. Order at our Shop .